Dear Daughter was at the Fair today for opening day and sent me cell phone pix of all the projects I entered. It took her a bit of sleuthing, but she managed to find all 10. 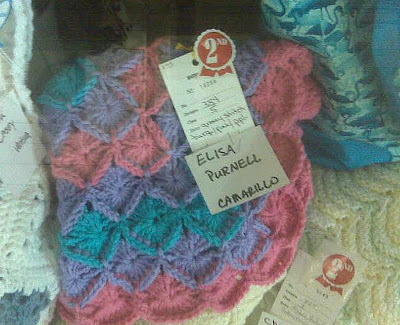 Handspun crocheted shawl. Cell phone photo = not so great detail or color. Four blues (1st place), three of them for spinning, along with the crocheted doily rug. 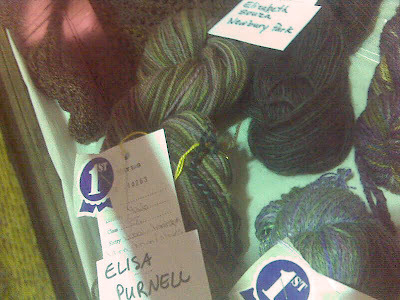 I was very surprised shocked by the spinning ribbons since I thought they had the least chance for awards. Three reds (2nd place) for Addy's Mermaid Princess Blanket, my handspun knit scarf and a crocheted sweater. 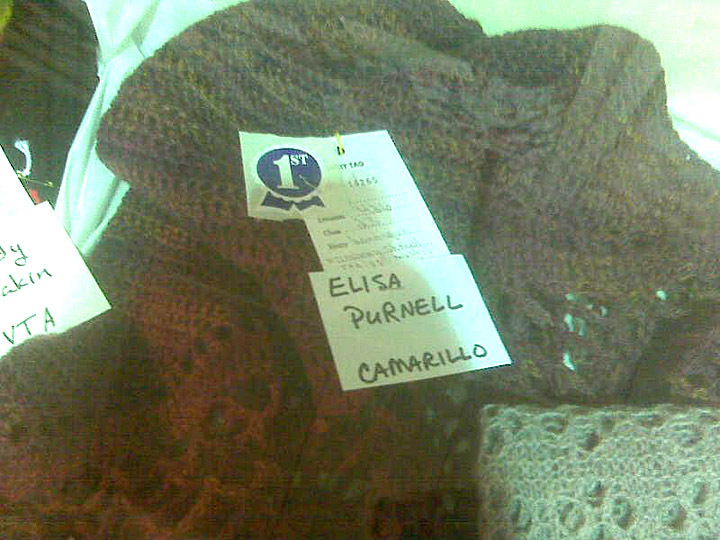 One 3rd place for a crocheted scarf and an Honorable Mention for a crocheted shawl. And the item with which I was most pleased, and thought had the best chance for blue? 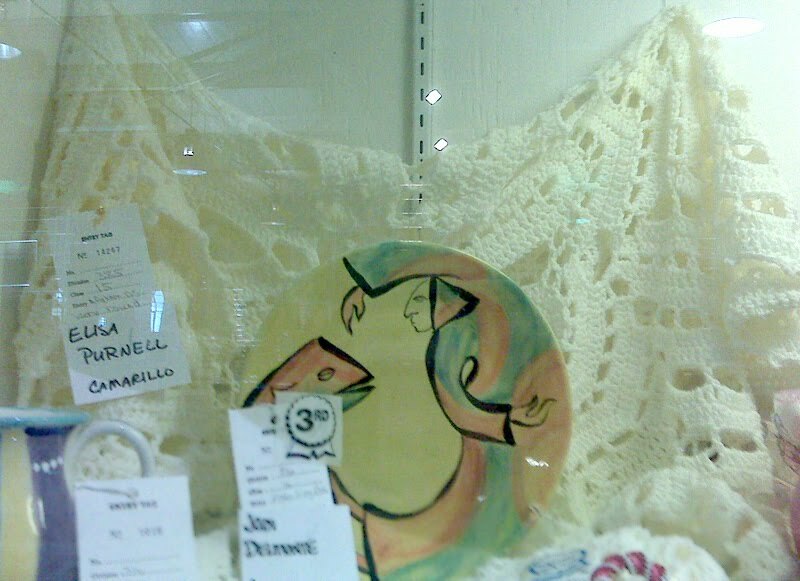 The Doily Afghan got nada, but is prominently displayed in one of the glass showcases. Goes to show what I know when it comes to judging.